Many of the potential dangers of vaccines are recognised by mainstream scientists and vaccine promoters, there are numerous potential side-effects, many of them and they are noted on the vaccine packets but they rarely occur. The rationale for vaccination has been developed from the understanding of the immune system and vaccine promoters are convinced that the potential dangers are offset by the advantages of the vaccine. Vaccine developers believe that the priming of the immune system and the production of antibodies is an essential strategy in developing immunity without the risks of the disease. Immunologists (immune experts) now recognise that most of our immune protection is provided by the natural barriers of the skin and mucous membranes of the digestive system, lungs and the urinary system. By injecting the chemical contents of the vaccine past the skin, most of the immune system has been bypassed and therefore the major component of our immune system has not been stimulated to respond to the infectious agents that we are trying to protect against. 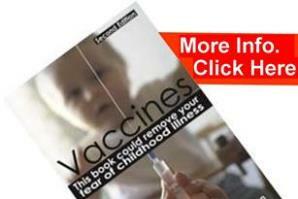 Vaccines were created when we knew very little about the immune system. By injecting the vaccine chemicals beyond the skin, this means that the dangerous toxins normally blocked and expelled by the outer barriers of the immune system (the skin and mucous membranes of the digestive system, lungs and the urinary system) are given free access to the vital internal organs, brain and nervous system. 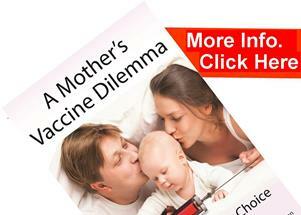 The internal poisoning of the body by vaccination is exactly what our immune system is designed to avoid.